Alabama’s largest truck accessory shop. 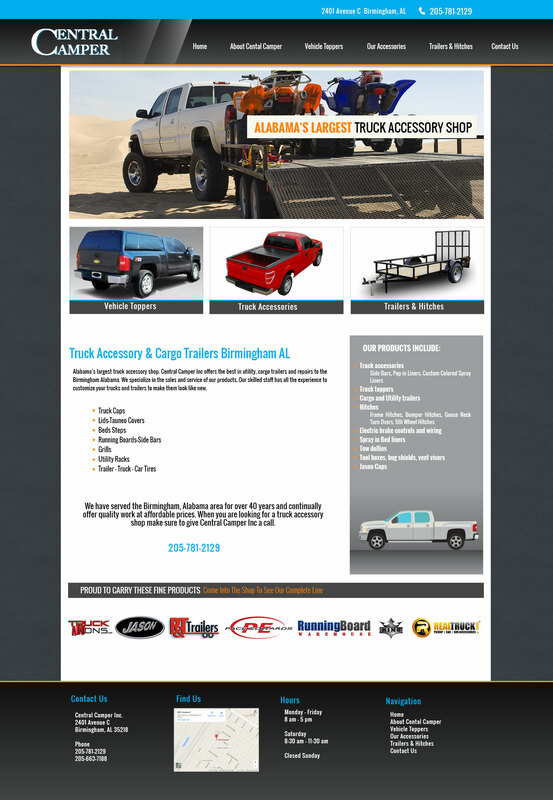 Central Camper Inc offers the best in utility, cargo trailers and repairs to the Birmingham Alabama. We specialize in the sales and service of our products. Our skilled staff has all the experience to customize your trucks and trailers to make them look like new.